The Problem of Unemployment is growing in Pakistan as the Economy is going in more and more trouble. According to a survey there is a immediate need of 2 million Jobs in Pakistan for youngsters. In the past as well i have discussed about various ways of earning money online for Pakistanis in my blog posts. Today i have planned to write about another popular way of online earning that can help those Pakistanis who are not getting Jobs even though they have studied and got degrees in various fields. That way is called Freelancing. So What is Freelancing and how to make money with it Online from your home anywhere in Pakistan? 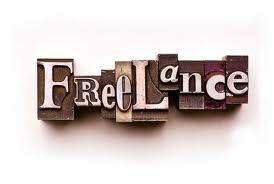 In simple words Freelancing means getting employed to others to do specific projects and getting paid for that. The types of freelancing projects are many. For example Freelancing projects can be of data entry, Web designing, Marketing, article writing, Online Teaching, programming etc. You can chose the project according to your qualification, Knowledge and experience. Those who do Freelancing projects are called Freelancers. When a freelancer gets a project the amount is also set between both parties. it is also decided in how much time the specific project will be completed.